I can’t let 2017 pass without paying a slightly belated tribute to the 60th anniversary of a book which has influenced me for many years. 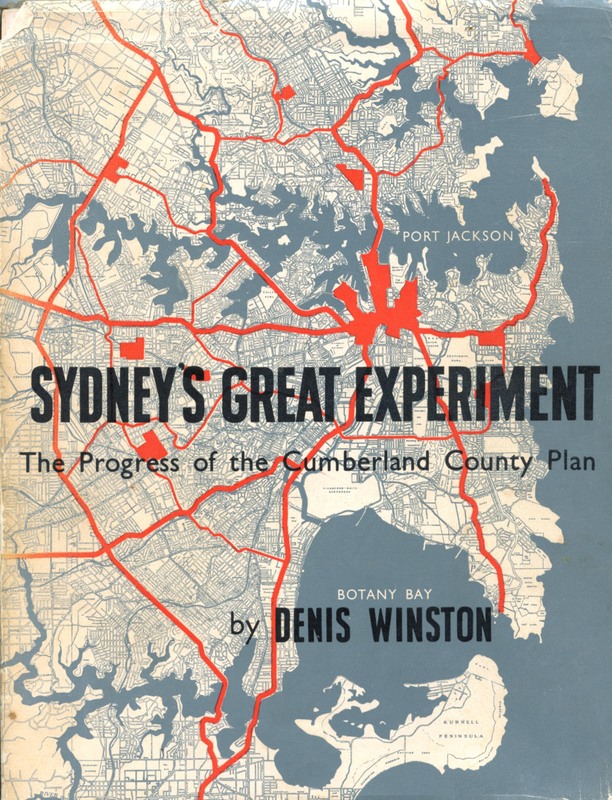 Sydney’s Great Experiment: The Progress of the Cumberland County Plan written by Denis Winston, was published in 1957 and presents not an academic analysis but a highly readable account of Sydney’s first metropolitan-wide comprehensive planning scheme completed in 1948 and its initial implementation. Apart from the overview it provides of the history of planning in Sydney and the description of the Cumberland County Plan itself, Winston’s book provides a fascinating perspective on first attempt to create a whole-of-city planning and governance system in which local government representatives played the primary role. With hindsight we can all look back now and point out the plan’s shortcomings and where it subsequently failed, but the influence of Cumberland County Council and its plan on Sydney’s development was profound. It is also insightful to realise that in the late 1940s Sydney’s Councils were given a much greater responsibility for the city’s planning than they have enjoyed before or since. I wish Strategic Matters readers a happy Christmas and all the best for 2018. This entry was posted in Local Government, Planning, Sydney metro area and tagged governance, Local Government, Regional governance, Strategic Planning, Sydney metro area. Bookmark the permalink.